Verizon might have been the first to blanket the U.S. with LTE, but for its second generation service, Big Red has plans to offer LTE capabilities on its AWS spectrum. Verizon is rumored to be calling this its "XLTE" network, and according to sources, the nation's largest carrier will be introducing the new name and service on May 19th. According to those in the know, the first two handsets that will support XLTE will be the Samsung Galaxy S5 and the HTC One (M8). While an OTA update is supposedly required, that is a detail that has yet to be confirmed by the tipsters behind the story. The XLTE network is expected to offer twice the bandwidth in certain U.S. cities. In addition, peak speeds will be faster on XLTE than on Verizon's current LTE pipeline. 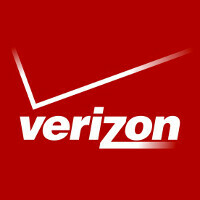 Customers won't have to change any settings to access the new network, which will eventually work on most of the new smartphones released by Verizon over the last year. And don't look for a new XLTE icon on your phone. For now, at least, those using an XLTE pipeline will show the current 4G LTE icon on their status bar. First phase of Verizon's tiered quality LTE bandwidth. They can now offer cheaper LTE plans and support MVNOs that will use the AWS LTE, while customers who pay more will get to use the 700Mhz LTE (and the AWS). From the source article: "As you may recall, Verizon announced that they expected to have AWS spectrum deployed in up to 50 markets by mid-2014, nationwide over the next 14-18 months"
Thats so awesome, better, and faster service what more can you ask for ! That's about the only thing that would get me back to Verizon! Or the ability to keep my unlimited data when upgrading. I think its funny how people know nothing of how businesses work. IF THEY CHARGED LESS FOR THEIR SERVICE THEY WOULD HAVE POORER COVERAGE, BE LAST TO IMPLEMENT NETWORKS LIKE LTE etc... So what you are really asking for is, Cheaper rates, No coverage and old technology. You just won some kind of Darwin award. I am positive! Because if Verizon makes a few billions less profit somehow the world will fall apart? The truth is that Verizon could easily lower rates and still make billions in profit -- just fewer billions. Will this cost an arm and a leg? It's on Verizon... so yes. Just like all of their other services it is massively over priced. So, because it is AWS, they will suffer the same issue T-Mobile does and that is building penetration. So, if you are outside, you will get "XLTE" and use a separate set of air waves. Once inside, you flip to "normal LTE" that they have now. Still better than anything tmobile offers tmobile u have great lte outside go in the building EDGE, at least Verizon ull have some form of lte in buildings.. So only S5 and M8 will support XLTE ?? What about Note 3 it's new too. Probably not. Verizon loves making customers upgrade. Actually, the Note 3 may support XLTE. I looked up a bit more about what Verizon is doing and most Verizon LTE devices from the last year or so should work. The iPhone 5C/5S should work as well. Always first. Go Big Red .... I might have to sneak me an S5. Any news on when or which iPhone model will support this faster XLTE bandwidth (I'm asking for my brainless friends with iPhones)?? Probably the iPhone 6, but it is hard to say. The iPhone has never really supported Verizon very well in the past, opting not to support simultaneous voice and text, for instance, as that would have required an extra antenna. IPhone 5s currently uses the AWS Spectrum among about half of the current LTE lineup. I saw the newest phones should all support it. The 5c 5s note 3 ect and all at no additional monthly cost for anyone asking..